For obvious reasons, all fishing lures are made to imitate real forage to some degree. 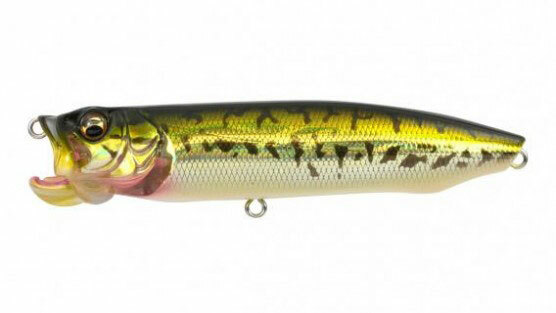 However, some lures take the imitation game to the next level and deliver highly detailed and accurate recreations. Let’s take a look at some of these super realistic fishing lures. Every lure made by LIVETARGET could be included in this article. 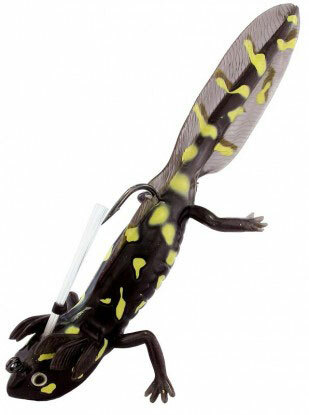 They exclusively create hyper-realistic fishing lures that are almost perfect matches to the real thing. However, the Hybrid Shrimp stands out as an especially impressive lure. 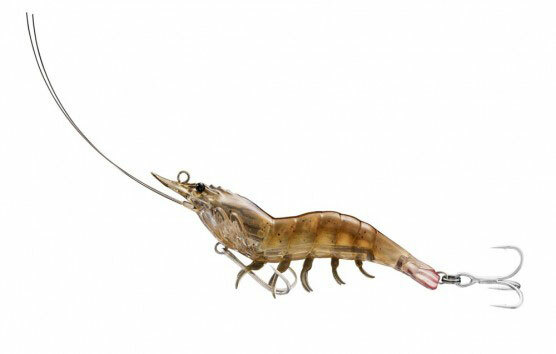 It is a hard bodied bait with soft legs and antennae that is almost identical to a real shrimp. River2Sea is another company that has many realistic fishing lures. 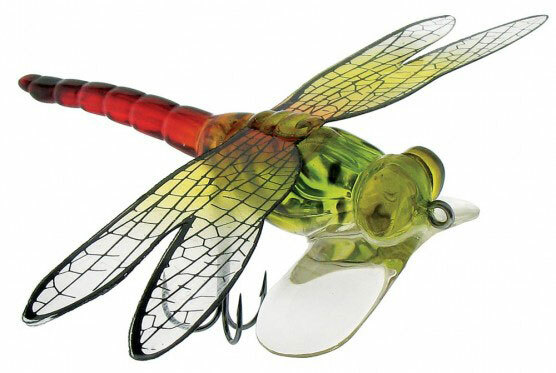 The Dragonfly Popper is a faithful recreation of a dragonfly that is made into a topwater lure. It is the perfect choice for imitating a dragonfly in distress around lily pads. The Megabass XPOD Jr. is a very unique topwater lure. It has a realistic head that features a lower lip that can open. The lip is set to different levels in order to change the action of the lure. One of the most unique things about this lure is its realistic mouth cavity and gills. Water actually travels through the mouth and out the gills when retrieved. The CW Crab is a crankbait that is shaped like a real crab. It has realistic legs on the back, and the transparent keel has more legs painted on it. Here is another lure by LIVETARGET. The Hollow Belly Field Mouse is a faithful recreation of a real mouse. Its front arms are tucked under its chest in a swimming position, and it has a long realistic tail. It even has detailed ears and a cute noise that almost make you not want to sacrifice it to bass. Almost. The River2Sea Nest Raider is a very realistic imitation of a waterdog. It has tiny arms, a long tail and the characteristic gills that are found on waterdogs. As its name suggests, it is designed to be used to catch bedding bass. The tail floats, making the lure look like a waterdog that is eating eggs and fry. This last lure is a DIY project that you can try yourself. The video shows how to make a realistic water beetle using plastic spoons for the body.